Welcome to IBI’s online biochar course, Biochar Training for Environmental Sustainability and Economic Development—an intensive training series on all aspects of biochar, presented by leading biochar experts. As a student, you will have the opportunity to learn about best-science updates on biochar to promote the uptake of biochar production and use, and actions necessary to overcome the barriers to commercialization of the biochar industry. You will study biochar production technologies; physicochemical properties; standards, classification, and certification; biochar effects when used as a soil amendment; biochar carbon persistence in soils, carbon accounting, and climate change; and commercialization of the biochar industry. The course contains 19 separate lessons—with a subject overview, a recorded audio/video presentation lasting 30 – 45 minutes (some lessons contain more than one video), and quizzes to test comprehension and retention. There is also an optional introductory presentation on the basics of biochar and the IBI so you can start the course with a common understanding of both. The materials are presented in a user-friendly online format and you can access the course at your convenience over ten weeks. With the 19 lessons and bonus introductory information, IBI recommends that you complete two lessons a week to absorb as much information as possible as you move through the full course over ten weeks. You will receive a certificate of completion at the conclusion of the course, provided you have worked through at least 80% of the modules and the quizzes. The administrator of the course will assist with any registration and access problems you may encounter and will monitor your progress. 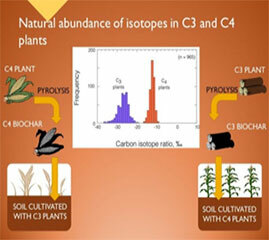 Course materials are based on presentations from the June 2014 in-person biochar training course titled, “Biochar for Environmental Sustainability and Economic Development” hosted by the University of Santiago de Compostela, Spain, and developed and presented by IBI and collaborators. The objective of the course was to provide an in-depth understanding of biochar for the target audience of academics, government officials, policy makers, financiers, and entrepreneurs in the European region. IBI collaborated with biochar researchers and engineers from Massey University, New Zealand; Fraunhofer Institute for Environmental, Safety, and Energy Technology UMSICHT, Germany; and the Spanish National Research Council to design and present the course. The course is offered at a fee of $600 for members, $750 for non-members. IBI Members in developing countries can access the course for the reduced rate of $320 (please contact staff for payment). If you have any questions or would like more information, please contact info@biochar-international.org. The cost of the course is US$600 for IBI members and US$750 for non-members. Once you register and pay, you will be taken to the online course module to get started. To join IBI and get the member rate, please see www.biochar-international.org/join. Members can also Login to see the discount coupon code on this page which will appear directly below after logging in.